color: SOME SOLDIER'S MOM: Milblogging Conference Site is Set! OK, got the plane tix, the hotel reservations and am now just waiting... Looking forward to meeting other bloggers and to discussing the past and future of the most explosive form of media so far in the 21st Century -- blogging. 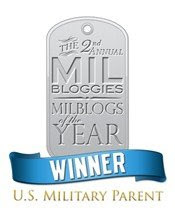 More specifically, blogging by the military community -- Milblogging. 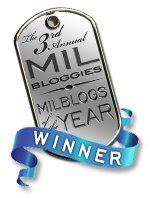 The Milblog Conference will take place on Saturday, April 22 in Academy Hall at the AED Conference Center in Washington DC. Go HERE to find out more on the location of the conference, how to get there and where to stay. If you haven't yet planned to attend or do plan to attend but haven't yet registered, I urge you to go register at the Milblog Conference site HERE. (It will take a few minutes for your name to appear on the list of attendees, so only hit the "submit form" button once or we'll all know you didn't listen when your registration appears five times LOL). Planning to be there with bells on...can't wait to meet you!